4) You shouldn’t waste time trying to match coupons with sales. You need to align yourself with a coupon shopping service. I have my favorite services that I like to use for my area. It’s not a normal day without me checking out www.couponcarousel.blogspot.com or www.krazycouponlady.blogspot.com as well as www.savvyshopperdeals.com. The first two sites give me hot spot highlights for deals. But the latter site actually allows me to use a software service that tells me all of the best deals in my area…and I can pre-sort my search by store, product type, or even percentage of savings. As I browse I can make my grocery list and be in and out in a jiffy. Heck, the site even tells you what section of the store you can find something in! Not only that, but there’s also a video tutorial on the site that you can watch to get your feet wet with couponing—at least until I give you a more thorough webinar. 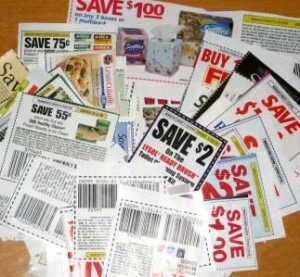 6) Last, but not least, coupons are not only for junk—although I’ve managed to find my share of chocolate coupons. Hee hee. I simply don’t have the time, energy, or resources to share with you all that I’ve been able to purchase, at what price, and where. But what I will do is give you SMALL list of items that I’ve purchased for FREE over the last few months. This is not even an all inclusive list. So when your jaw drops to the floor after reading this, pick it back up and give couponing a try. Surely you’re not going to be conquered by a few harmless coupons, are you? This is an area I need to work on, but it has seemed so overwhelming! I understand the concept mostly, but many of the "coupon" sites use the coupons at sales at stores that don't exist where I live (walgreens, riteaid, target, etc are almost 3 hours away). But I figure some $ off beats full price even if I can't quite get to free. So no more excuses for me--I will be checking out your recommended sites and trying to start being better at using coupons--thanks! 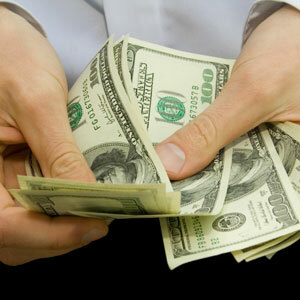 I think that couponing not only gives us a chance to fill our cupboards, and long term storage. But I have also been donating more to my church! It really is a win-win. Me too, Woodirae--also to the women and children's shelter (school supplies, especially) and to the food bank. And it doesn't cost me anything but a little time. Thanks for this great information. I recently found that one of my daughters friends has started using coupon and only spends around $20 a week. I am going to show her this site and encourage her to do a claas here. Where do we find......read: Outside of the confines in my 3 hour Coupon Training Boot Camp? I think that as times get rougher, we will need this more and more. Cool blog. I dig your site outline and I plan on returning again! I just love finding blogs like this when I have the time. I love couponing! I have been doing this for over a year and a half now, and I have all kinds of things stored up! I have not been grocery shopping for more than two months. I have been to pick up things like eggs and a couple of impulse purchases, but those big, fill your cart trips? Not for me right now. I have a lot going on and trips to the store don't fit in the time I have available. I hope that things calm down soon. I have a lot of coupons to get to using! My wife just got a bunch of J&J baby wash, shampoo, etc. at Rite Aid after getting a $25 gift card for transferring a prescription. So the items were free with the gift card, but they also have a mail in rebate for all the items making them DOUBLE free!! They paid her twice the value to take those products off their shelves. She even had enough to buy each of the kids a car from their toy isle still with the free gift card money. All she spent out of pocket was the $5.00 for the prescription, as they don't let you use the gift card to pay for the transferred prescription. I think this was in response to my question to her last night, and thank you very much. One of the problems I find I'm running into is that I don't want us to eat prepared foods. I'm trying as much as possible to make things from scratch. Granted for an emergency it is better than nothing. I'm going to try and work with some of the listed sites and get my wife doing it for us. hopefully it works out well. Todd, I eat a lot of WHOLESOME foods, just FYI. I'm offering it live all over Utah for the next month or so. We'll be doing live Webinars soon though! I believe with you 100%, Justine. Don't get me started on the financial impact that coupon has had on SAVING the grocery stores and food manufacturers from needed a bailout. Thanks so much for this, it spurs on to try even harder! I can't wait for the webinar! You mentioned using a service that allows you to sort coupons by area. Would you mind sharing the name and where to find it? I am signed up for savvyshopperdeals.com, but it seems most of the stuff is not in my area. I think this is all a stigma I have about coupons. Everytime I see coupons they are for things like au gratin potaoes or cookies or pop tarts. Like you suggested I need to look into one of these coupon services and see what is available. Most have a free trial. I used to coupon way back when, then I didn't for years. In the years I didn't coupon, I also decided it took too much time and the coupons were mainly for junk. I learned about the better nutrition and flavor around the edges of the store, fresh is best, processed is unhealthy and untasty, and coupons promote the hamburger-helpering of America, obesity and diabetes, etc. But when I decided to start on preparedness and food storage I knew I needed to find a way to afford it. I started clipping coupons again. Clipping, sorting into the zippered case I keep in my purse, and making my weekly menus and shopping lists (grocery and drug store, where I also get great deals on grocery-type things)and attaching the relevant coupons takes me 1 - 2 hours on Sunday. I don't use a couponing website, I just pull out the circulars for the two grocery stores in my area plus the drugstore where I get great deals, then I list all the really good deals for my shopping list, pull out any matching coupons, refine my list, and I'm ready for my shopping day. This doesn't take long after you've done it for a few weeks and have a rhythm. I usually go to only one store each week, whichever one has the best deals for things I need for storage. Very occasionally, I'll stop at the other store as well to get a deal I don't want to pass up. But my time is valuable and I don't like to spend more time shopping than necessary. Like you say, you can be watching tv, chatting with someone, listening to an audiobook or podcast, etc. while you're clipping and organizing your coupons and making your list. It's absolutely Very highly paid time. And you don't have to do it all at once, you can spend 10-20 minutes every day and you still get the same result. Still, by buying nearly everything on sale, and learning over time what the best sales are and stocking up, and the key-using coupons with sale items, I save at least 30% on every trip to the grocery or drugstore and fairly often it's as high as 50%. The clerks are almost always shocked when they tell me how much I saved. Yes, with double coupons I'd be saving lots more, and getting the 'It's Free' thrill a lot more often, but we work with what we have. In about six months of working this system and working diligently at food storage, including making mylar / oxygen-absorber pack - food pails of on-sale + coupon rice, beans, sugar, etc., and ordering cases of freeze-dried foods, again only on a really good sale, I have 6-7 months of food stored. And I have over a year of almost all household items like cleaning, toiletry, paper and plastic products stored. I couldn't have done it without becoming a bargain maven, and that means coupons. I don't clip coupons for things we don't eat-the pop tarts, cookies, etc. But coupons for charcoal, aluminum foil, garbage bags, pet food, lettuce, eggs, fresh and evaporated milk, fresh juice, condiments, canned and frozen vegetables, pasta, nuts, oatmeal, bread, tylenol, toilet paper, toothpaste, etc. are very, very valuable when used strategically. Far more valuable than it seems. So the coupon says 20, 55, or 60 cents off. Hardly seems worth the time to fool with it, you think. But when you start working it as a system, the savings snowball. It still surprises me. I have lots of non-couponing inclinations, but I realize now I'd be stupid to spend the many hundreds of dollars extra that I would literally be spending if I wasn't working my sale-coupon-stock-up system. So I don't stop, even when I think I don't have any time to spare this week to coupon and shop. But now I have canned tuna and chicken and so forth now and became willing to learn some acceptable recipes and use them for lunches and some dinners so the food gets rotated. There was no need to be such a prima donna, really. I already used canned beans and tomatoes and the occasional other canned fruit or veggie. Now I have a great stock of the beans and tomatoes and also have a variety of other canned fruits and vegetables, again acceptable even if not prima donna preferable, for some soups, casseroles, etc. To get over myself, I decided I had three choices. 1) I could keep my high standards for (nearly) fresh or sometimes fresh-frozen food: not use or store any canned/jarred/boxed food, but then be stranded and hungry without a grocery store and/or power or money in a widespread or just personal crisis. This option wasn't acceptable. 2) I could buy a bunch of canned stuff and give it all away regularly as my "rotation" --I can't afford that, so this wasn't acceptable either. That left the last option. 3)I could buy canned foods I used to pass over for fresh-only, but that aren't in my "absolute junk" categories. And I could learn to use them to create good, if not as great as fully fresh, meals now. Choosing this was my acknowledgment that we live in a riskier world now, and in order to be ok in the future I have to make some adjustments now, using canned as well as fresh foods now so I can feed my family in a crisis not just something but things we have learned to like well enough in normal times. So I keep expanding the garden for fresh food, and am starting to dehydrate some things, and am collecting freeze-dried foods, trying to wean myself from total freezer dependence, and becoming aware of how environmentally costly my long-distance-shipped, always-fresh foods are anyway. I am coming to grips with the fact that canned (and jarred, boxed, etc.) foods-- and the coupons that make them very affordable and leave me money to buy other preparedness items-- are an important part of being responsible for family food security, and don't have to be unhealthy. I wish it were otherwise. I'd just as soon not spend time clipping, organizing and using coupons. I'd rather cook with only the yummiest fresh foods. And it is a sad thing to step back from being a fresh-only person because it's like back-tracking, when I've already made the shift from processed foods to a non-processed way of cooking and eating. It's like giving up a value system that educating yourself and your palate has created over the years. But you know, I'd rather have canned corn, tuna, and chicken than none when the fresh ceases to be affordable or available. And it gives me lots of motivation to get more and more serious about that garden. If I want that fresh food and the security that it's (at least partly) dependable in a crisis, I had better be willing to work for it in my own back yard. The spoiled, lazy days were good, but this is where we are now. I can’t wait for the webinar! Where do we find ...one second after? Great post. All those excuses people give for not using coupons drive me crazy. And to think, I use to be the one giving those excuses! I think that people who says those things have either a)never tried coupons or b)never really understood how to make the most of coupons if they did try them. Great post on the couponing. I go in cycles and am happy to be in the cycle now. Just a plug for the "coupon bootcamp"--I went last Saturday and LOVED it. I am a mother with small children and for years have told myself that I don't have the energy or time for coupons. After learning what you can do with coupons and that it can be done in 2 hours, I can no longer justify NOT doing coupons. If you haven't taken Kellene's class, DO IT! It really is eye opening and you come away with a specific strategy of how to actually do it. I've already ordered my five papers, Kellene! This Sunday the fun begins! Thanks so much. I got it on Amazon. I'm reading "Earth Abides" right now and am loving it! I list several websites in this article. 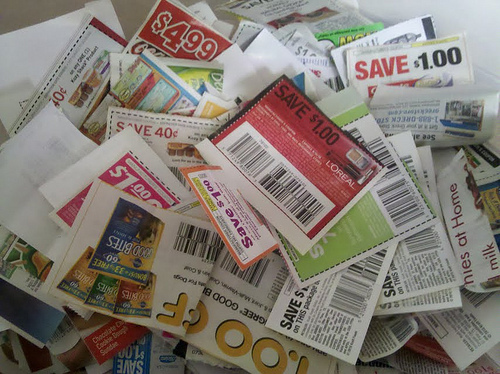 Krazycouponlady and couponcarousel give you links to printable coupons. And Savvy Shopper Deals has a database too. So glad to hear that you were motivated to start Cari. Let me know how your progess goes and if there is anything else I can do to help. I use Savvyshopperdeals. You'll have to tell me what area you're in for me to help you any further. I'll see what I can find for you. Todd, you should NEVER pay for a coupon service. There are too many of them that are FREE and of a good quality. I started the coupon bandwagon two months ago.. and have saved $147.00 from Smith's so far! I use thecouponmom.com and all the links when you sign in as a registered user at Smith's. I think there are four different resources there! I am disabled and have some one drive me to town to do my shopping so when I go I really want to make it count! So I have added to my long term storage much quicker this way, and if I CANT get to the store, I have no worries.. That is a big chunk of piece of mind! Byron, according to my research you have Albertson's, Target, Rite-Aid, and Walgreens there. You've got the perfect makings of great savings--especially with the double coupons available at Albertson's. You should do very well there. Good luck! Wonderful info and comments...Thank you for leaving these up for us to read.. It drives me crazy when people tell me coupons are not worth their time. In 2011 I saved $3405.50 in coupons at my local supermarket. (The number is actually higher because if there is a great deal at the drug store or Walmart I will go there but I didn't keep a tally.) It takes me on average 3 hours a week to clip/print/organize coupons and do my shopping. That works out to $21.83 per hour just from the coupons. Add to that the fact that I buy when on sale and stockpile. If that was confusing, here is it simplified. I spend about $65 a week for a family of 5 on food, toilet paper, shampoo, soap, cleaners, light bulbs, etc. We eat mostly fresh foods: pork, chicken, fish, shrimp, eggs, cheese, veggies, fruit, rice, pasta, cereal, etc. We are brand loyal and eat what we like not what is just cheap.